awesome bags, want it all! amazing bags!! !my fave are kate spade and chanel!!! OMG I cannot believew how pretty these look all together! Especially loving the Kate Spade one!! love bags 3 & 5 ! I'm so in love with them all! very nice bags. Have a great day. Έχεις υπέροχο blog πολύ ενημερωμένο και..ζηλευτό!! Αποτελείς πραγματικά έμπνευση για εμάς που τώρα ξεκινάμε! You also have new followers!!! 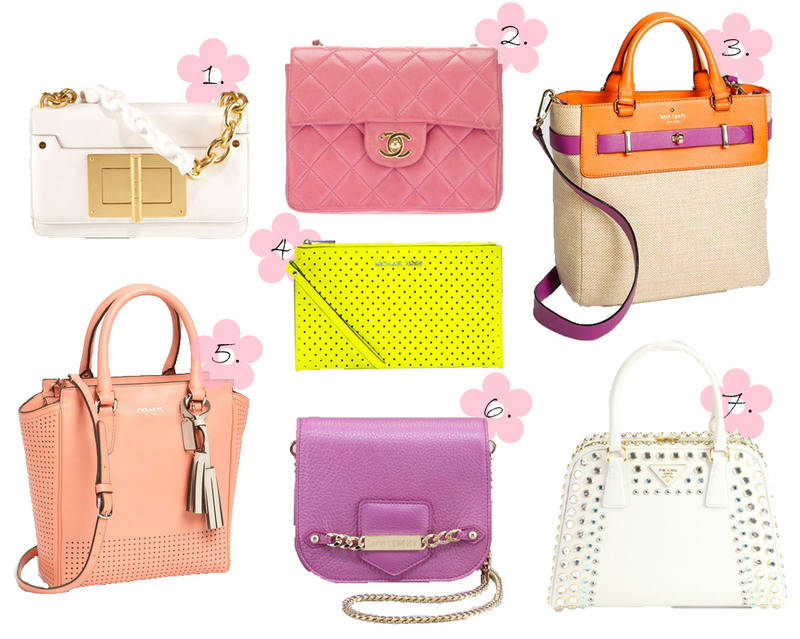 Amazing bags, love every single one of them! OMG!!! I love the white one!!! Ooooo...I'm super liking that perforated neon number by MK. Gorgeous! Love the Michael Kors bag! such a dream! Hope you are having a wonderful day! Lovely pieces… want them all! I love everything! They`re all lovely. So Beautiful! !I like second bag very much!! omg these bags are so gorgeous! wish I could have them all!